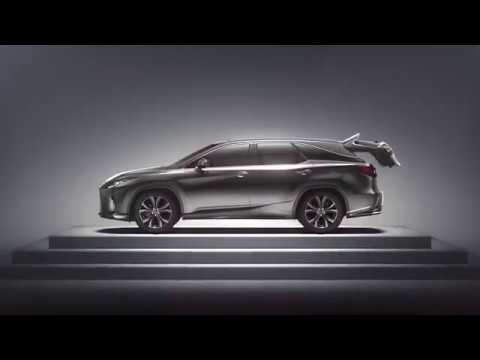 The new Lexus RX is a spacious hybrid SUV that combines practicality and durability in one exciting package. It also offers the handling and refined dynamics of a smaller saloon car, coupled with efficient engine technology to make driving even more pleasurable. The new Lexus RX has a striking exterior. It benefits from the carmaker’s new ‘spindle’ grille design for head-on appeal, while origami-like body creases and bold headlights further its appeal. The model is wider and longer than even before, which is sure to get you noticed. The body is 30 percent more solid, too, enabling tighter handling. Chic 18-inch alloy wheels and smart LED daytime running lights on entry-level models are other stylish highlights. On board the five-seat new RX, comfort and luxury come in the form of adjustable contoured seats, extravagant, smooth leather, and a laser-cut, dark-wood finish. It’s a beautiful space in which to spend long or short journeys. There is plenty of room for three six-footers to ride in comfort in the rear. Boot space is generous at 539 litres and it comes with a wide-opening tailgate for easy loading and unloading. The all-new RX is a highly efficient SUV, offering an advanced, full-hybrid 3.5-litre V6 engine. The model alternates seamlessly between efficient electric and thrusting petrol power, providing a graceful, relaxing drive. This unit has enough punch to get the car from 0 to 60mph in approximately seven seconds and a top speed of 124mph. All-wheel drive maintains traction on tricky terrains, meaning this model is robust and reliable both on and off the beaten track. In terms of safety, this is one of the safest SUVs on the market today – with a five-star Euro NCAP rating.  During the making of this vehicle, Lexus engineers crashed more than 200 vehicles to perfect the model’s security features. Ten airbags, seatbelt pre-tensioners, a pre-crash safety system with pedestrian detection are all standard, along with adaptive cruise control and lane keeping assist to keep you on course. Climate control and the superior Mark Levinson premium surround system make every journey a pleasure. The state-of-the-art, eight-inch LED display allows control of audio, incoming calls, rear-view camera, performance information and maps. All angles are covered with the new RX. Find out more about the all-new Lexus RX at Motorline in Bristol, Canterbury, Cardiff, Gatwick and Tunbridge Wells by booking a test drive to experience the ride for yourself. Simply book online or get in touch with a member of our team. We look forward to hearing from you soon.